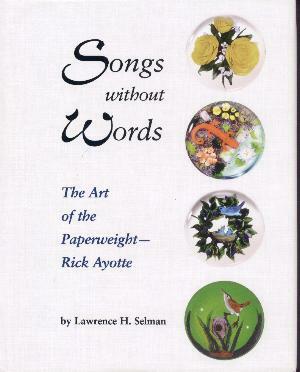 This is the definitive work on the amazing artistry of Rick Ayotte. Rick's specializes in naturalistic portrayals of birds and nature. The book presents the progression of his work from 1978 to 1996. 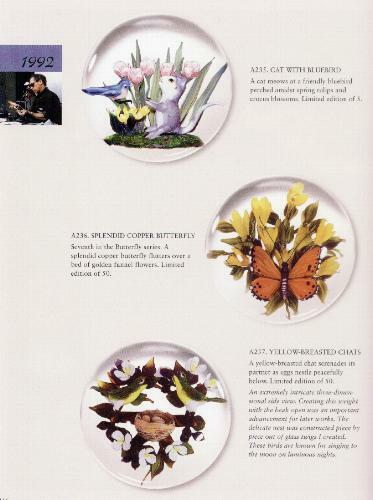 A fantastic reference with fabulous color photographs. It includes essays by Paul Stankard, Jan Smith (Curator of the Bergstrom Mahler Museum), Lawrence Selman, and the artist. 152 pages with over 300 color photographs. Hard bound. 8 1/2" by 10 1/4". 1997.